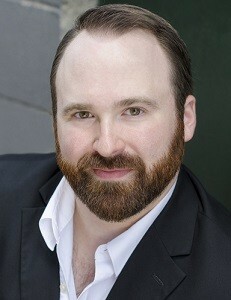 Kyle Tomlin is thrilled to return to St. Petersburg Opera for his main-stage debut as Rodolfo. His other engagements this season include Mercury in Orpheus in the Underworld, Rodolfo cover in La Bohème, and Tybalt in Roméo et Juliette as an Emerging Artist with Virginia Opera as well as a main-stage debut with Toledo Opera (Tybalt.) He has also made appearances with Fargo-Moorhead Opera, the Tallahassee Symphony, National Cathedral Choral Society, Händel Choir of Baltimore, and the Washington Bach Consort, performing a wide range of repertoire from cantatas by Bach and Mozart’s Requiem to Beethoven’s 9th Symphony. While he regularly performs the standard repertoire, Mr. Tomlin is no stranger to new music as well. As a Gate City Bank Young Artist with Fargo-Moorhead Opera, he covered roles in the world premiere of Buried Alive and Embedded, two operas commissioned by the American Lyric Theatre for the Poe Project. He also originated the role of John in the premiere of Rockland, an opera commissioned by the Pine Mountain Music Festival, where he has performed as a Resident Opera Artist for three years. His other notable roles include Nemorino (L’Elisir D’Amore), Fenton (The Merry Wives of Windsor), Almaviva (Il Barbiere di Siviglia), Eisenstein (Die Fledermaus), and the title role in Albert Herring. Mr. Tomlin holds a Bachelor of Arts degree from Penn State University and a Master of Music from the University of Michigan.